Apple wasted no time in singling out the Samsung devices it wants banned from sale in the U.S., naming eight smartphones Monday. It was Samsung's turn to respond Tuesday, via a one-sentence spokesperson statement to the Wall Street Journal: "We will take all necessary measures to ensure the availability of our products in the U.S. market." The spokesperson laid out several options for the company. Chief among them are the options to fight against the ban, appeal if one is granted and modify the prohibited products. The Journal also learned that Samsung higher ups are already discussing removing infringing features from the phones with carriers in the event the ban is enforced. One of the more important devices to make Apple's blacklist is the Galaxy SII. According to Samsung itself, the company as a way around two software patents a jury said the phone violates. This could save one of the South Korean company's signature handsets from disappearing off the U.S. market. Besides the eight identified Monday, Apple is expected to seek a ban on more devices as the post-trial process continues. Samsung has said repeatedly that it will fight the verdict reached Friday in which the jury ruled it must pay close to $1.05 billion (£665) in damages. 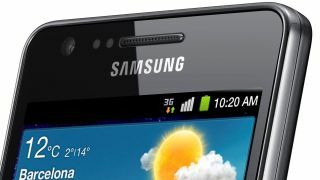 Should motions by the company fail to repeal the verdict, Samsung plans to take Apple to federal appellate court. One analyst thinks U.S. District judge Lucy Koh will probably grant Apple's wish for a sales injunction on the phones given her decision to impose a pre-trial ban on the Galaxy Tab 10.1 in June. The Tab 10.1 wasn't found to violate an Apple patent.